I remember the days when cell phones were used to just text and phone people, those days weren’t that long ago either. Phones that could barely keep 10 text messages on them before you had to delete some of them to create room to receive more. These days you have Galaxy S5’s, iPhone 6’s and Google Nexus devices that you can literally do almost anything with. Phones have become an extension of our arms, with people checking their phones for texts every 3 minutes. You now have a device that can give you real-time information on anything from the weather to soccer scores. Heck, most people would rather take their cellphone to work than their lunch. So in a quick technological advancing world what can we do with a cell phone? That’s the main point that we wanted to talk about today. If like me, you have a million and one things to do in the week, it’s handy to have something on your phone where you can both organize and set alerts. Setting reminders on your phone is just one way that you can take notes of upcoming events and then have your phone tell you about them in advance. You won’t miss another important meeting again! If you are a parent, you know how much of a handful it can be to keep the younger generation occupied, especially when it’s raining outside. There is only so much potato prints and painting that you can do. With a cellphone on hand you have the opportunity to download sing-a-longs, games, puzzles, and learning apps that can pass the day away but also help develop your little ones life skills. These days phone manufacturers are driven towards the fitness aspect of technology. You have all seen Apple and Samsung push wearable tech that will help you when you are out on your morning run. These Smartwatches are usually connected to your cellphone which have in-built fitness apps ready to be used. Best of all everything you do and record on your cellphone can be synced across different platforms so you can get back home and check your progress on PC’s, laptops, and tablet devices. Now our fourth point on the list is something that everyone with a cellphone will do, I am of course talking about texting. Whether you need to send a quick message to your loved one, or organize a drink with your mates, the texting option of a phone gets a fair share of use. 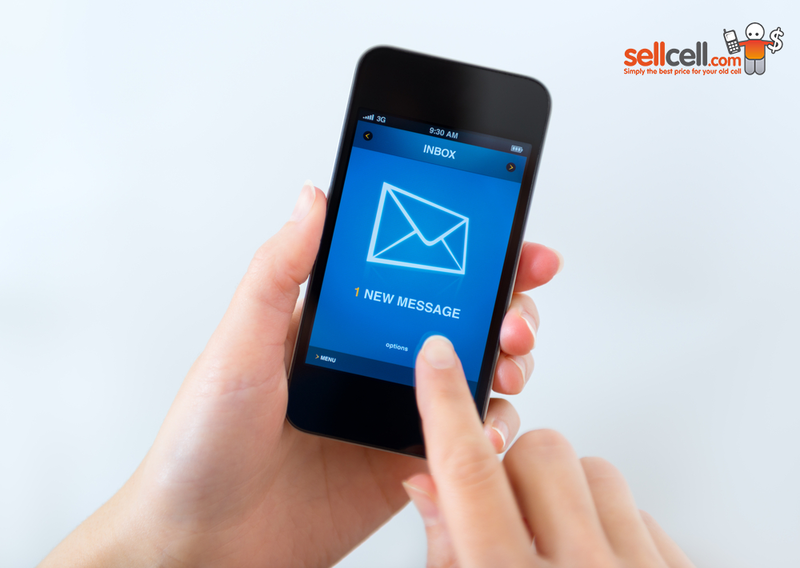 Perhaps the biggest advantage of using SMS is that you know the person at the other end of the phone will pick up your message, something that isn’t always the case with voicemail and calls. This next use really ties in with point #3 on our list but it can also be used for cooking and other events that require you to time or countdown. The stopwatch feature is another preloaded feature to many Smartphone’s and can be quite handy. Just think of it…you will never have a runny boiled egg again. Whether it’s Androids Keep app or the impressive Evernote app you are always going to be a touch of a button away from a note taker. Rather than using pen and paper that can be lost or destroyed quite easily, you can take notes digitally on your phone and these can be synced across different platforms. Whatever you store on your phone can be synced with other devices which is perfect for journalists and anyone who needs this kind of feature for a job. AR, or Augmented Reality as its better known is something that blows the mind of many people across the country, and indeed the world. The Sony Xperia camera does a great job of this, overlaying surreal animation over a real-life setting. Picture dinosaurs walking across your desk at work or tiny men walking across your keyboard… (no I haven’t been drinking). Some apps will also allow you to pan your camera over a street and see what deals and discounts are available at the stores on that street, by showing a pop-up balloon that hovers over that building. It’s still in its infancy in the grand scheme of things but it’s really starting to change the way we shop and review places. In an age where we love taking selfies and looking at our complexion, a mirror app or the ‘selfie camera’ is a great way to see yourself. For women it’s perfect for touching up make-up, applying lipstick, or checking their hair, and for men it’s great to see if they have any toothpaste on their face! Some apps will black-out the background behind you so you can get a clearer and crisper look at yourself. While we are on the subject of taking selfies and talking about camera’s we might as well check off the fact that people use their phone as a digital camera. No longer do you have to lug around two gadgets, instead you can use your phone to take photos and with technology moving forward fast some phones are actually better than digital cameras. If you walk to work, or catch the subway then you are bound to see people with their earphones in, hey, you may be one of them! The likes of Spotify are great additions to cellphones and turn them into an MP3 player on your way to work and back. As Spotify is a cloud based program you will also benefit from your library and playlist syncing with other devices you own. By using Bluetooth in your car you can have your favorite tunes pumping out of your car stereo, but you can also listen to the music straight from your phone with or without earphones. Whether you want to control Netflix, Crackle or Amazon Instant Prime Videos you can turn your phone into a media control center by either watching your favorite episodes on your phone or turning it into a mouse that you can use for computer or laptop. Smartphone’s can easily connect to media sources dotted around your house, and it doesn’t take a rocket scientist to connect them. Just because you find it hard to see small text, shouldn’t mean that you give up on your phone. Cell phones have an accessibility feature that will allow you to zoom in and magnify text, or increase the font size on your device to help you see words much more clearly than before. If you prefer using an app that has more features and functionality then you will find a selection on Google Play or iTunes. Do you remember the days of your parents having to pull out a great big map in the car and plan a journey out? Ahh the good ol’ days of arguments in the car where your dad veers off down the wrong intersection, and ends up on a Highway to nowhere. Well, satisfyingly for us we now have the power of Google Maps which works with your phones location services and GPS to give a perfect sat nav. With the volume turned up there are really no excuses for ending up in the middle of a field. Musicians out there will know how much of a lifesaver this app can be, and because it’s on your phone you will always have it with you. Your phone isn’t something you tend to forget but a guitar tuner could well be something you leave on the backseat of your car. If you are a keen music enthusiast, the Guitar Tuner can help you whether you are a beginner, experienced musician or a professional musician. I’ll be honest with you guys, I’m not fantastic at Math so having a calculator on my phone is a beautiful accessory that can allow me to quickly add, subtract, divide and multiply big numbers without the need to hunt down a standalone calculator. No matter how old you are there is always a game that you enjoy playing, whether it’s Angry Birds, Solitaire or Minesweeper. Well, the great thing is that if you are bored you can pick up your phone and enjoy any one of the thousands of games present on Play or iTunes. Some are free, some come as paid versions but what we can tell you is that you will never suffer from boredom again. I remember those good old days of having to actually visit a bank to check your balance, and then being able to check it online was introduced which blew people’s minds! 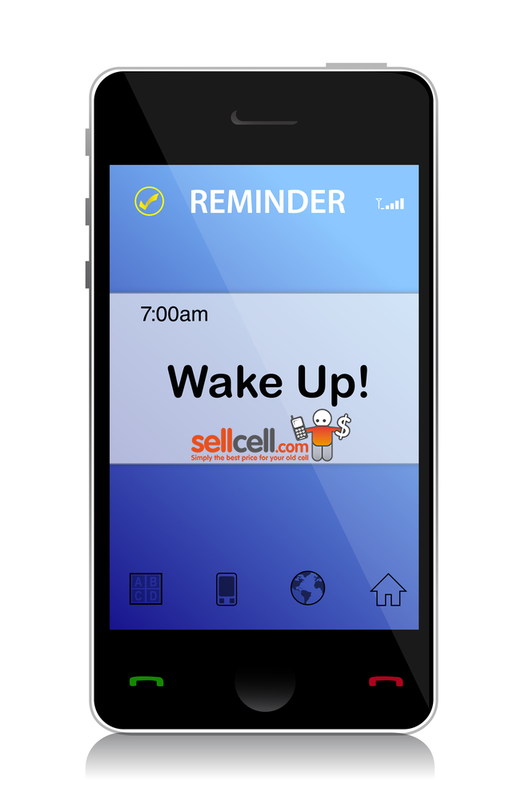 However, these days you can now check your bank balance, make payments and pay bills on the go from your cell phone. Having control of your finances and accessing your accounts is a fundamental part of everyday living. 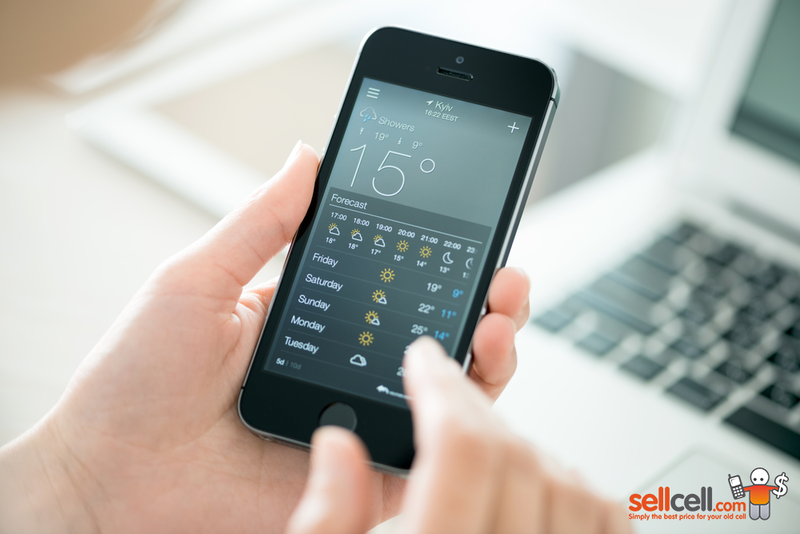 Being able to plan trips to the coast often depends on what the weather is doing, so having the opportunity to check the weather on your phone gives you a helping hand when planning trips and vacations. In-built apps and downloaded apps are readily available for you to put on your cellphone. Now you can pick perfect beach days and act in time for when the snow falls. Recipe books on your cellphone can be used all year round and help people get there culinary skills in order at events such as Thanksgiving and Christmas. Not only can you become a better cook but it saves having to bring out those big recipe books that take up so much space and end up getting coated in ingredients. Using your phone for recipe’s also opens up a door to millions of different recipes. 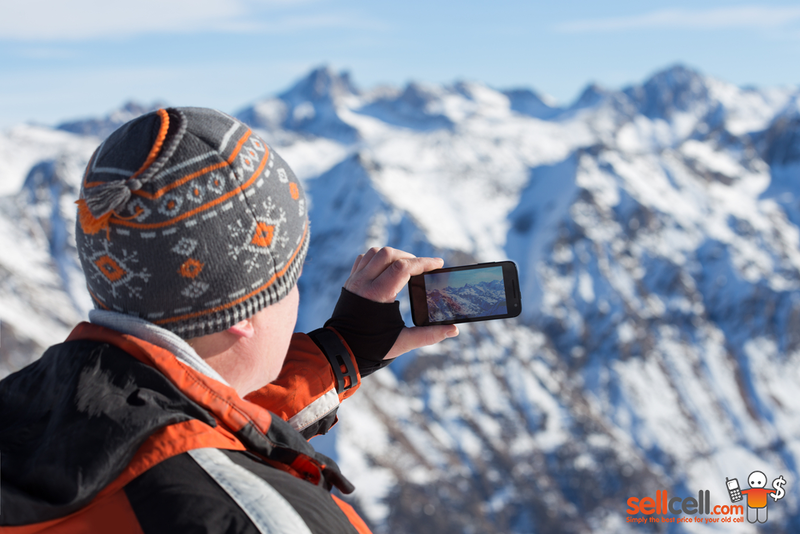 Being able to watch TV from the comfort of your phone is just another great use of a cellphone, and perfect if you lead a busy lifestyle where you are constantly out and about. Catching up on the Walking Dead, or House of Thrones then using catch up on demand services can help you watch your favorite programs on the go. Ahhh where would we all be without the Internetin our lives? Good job that it comes on each and every Smartphone as it’s a major part of our daily lives. The Internet is a portal of information and is accessible at the touch of a button. In recent years phone storage has increased dramatically with a lot of new devices being capable of storing up to 128GB of data. With this kind of storage you can use your phone as a USB drive and save anything from large images, documents, videos, movies and music files. For phones that also have the ability to utilize expandable memory you are given an opportunity to take your storage to over 200GB. Now that is a lot of storage, and larger than most PC’s and laptops. Geocaching is a big hobby, think of it like a game of hide and seek where the community would hide caches around the World for people to track down. Using your phones GPS and compass you are given coordinates and clues on where to find the caches, ticking them off as you go. Voice recording software isn’t a new concept but having it as part of your phone can be a big benefit. It’s great for taking quick notes that you can play back to yourself, or recording any audio that you want to capture and send to friends and family. If you like to sing then you can even record your own voice and send it to Simon Cowell! If you need to create quick and easy presentations then the likes of the Keynote app available on iOS 8 will allow you to create PowerPoint presentations and then sync them to other Apple products such as a Mac or iPad. You can also control the cursor on your Mac or iPad using your iPhone. If you don’t fancy spending money on a Kindle, or are fed up of all the books that you have lying around then why not turn to your cellphone as an alternative? Yes the screen is smaller but you can still build libraries and download books that you can open up and read. The good thing is that you can fit your phone into your pocket as well so it’s less carriage, portable and easier to use. Bedside clocks are much like landline telephones; they are both slowly being fazed out of people’s lives and the culprit points to cellphones. You see, if you are like me I have cleared my bedside clock, freed up space, and now use the preloaded Alarm/Clock feature to wake me up bright and early each morning. Crackle and Netflix are just two of the streaming services available to the US that offers a platform for users to watch movies on their phone. These services are paid for, but don’t cost a fortune and come with free trials. With thousands of films available and the ability to use them on phones, TV’s, laptops and tablets you can see why people are starting to make the most from these streaming companies. This is still a concept that worries some people; having credit cards and confidential information stored in your virtual wallet or NFC feature. However, they are secure and provide an easy and efficient way for you to pay for items in states across the country from Washington to Florida and every state in between. You don’t have to worry about how much cash you have in your pocket, or if you have left your credit card at home anymore. Give it a try, it will change your life. Staying ahead of the game is key to most businesses and if your job requires you to keep on top of emails, then having an email account setup on your phone is huge benefit. Not only can you read emails coming through but with the click of a button you can reply, forward and delete emails. You can also add as many email accounts as you can under one app, so you won’t miss another email again. Cell phones tend to bring everything under one roof, so to speak. You already have the camera tool, and now we wanted to introduce the camcorder tool. The camcorder on phones has greatly improved in the past 5 years and now you can record in 1080P High-Definition, which will get you thinking twice about the need for a standalone camcorder. Less to take with you on vacation and just as good, going hand-in-hand with those big storage capacity phones. SIRI and Google Now may be gimmicky to many people and aren’t really used much as they used to be, but they can still come in handy when you haven’t got the time to type and search for answers to questions, or want to quickly update your social statuses. A few years ago Apple introduced a useful Passbook app where you can store your tickets in a digital format for safe-keeping. When it comes to boarding passes then it’s a breath of fresh-air, because you have enough to think about when going on vacation without remembering passports, tickets, credit cards and coupons. By sorting them in your Passbook they will automatically show on your iPhones screen when you get to the airport, making check-ins smooth and efficient. You probably do this on a daily basis, but hey we have to include even the most obvious uses in our top 50 list. Calling people on the move is something we have done for 15-20 years now and you will notice that a lot of households are ditching landlines in preference of mobile phones. Whether you are calling your friend down the road, or family abroad this feature is still one of the biggest for phone users. When a simple text or call just isn’t enough, there is Facetime or Google Hangouts where you can both see and hear the person you are talking to. These are free services but you need access to the Internet, in the form of WiFi or 4G to get the best connection. Facetiming is used mostly for conference calls or talking to friends or family that live in different states or countries. A limited number of phones will be able to act as a games controller, most notably the Xperia range which of course is made by Sony who is also responsible for the Playstation. With the PS4 you can stream from your console right to the screen of your Xperia. With the PS3 you can use the phone as the actual controller. The couch can be a mysterious place where coins, remotes and candy usually end up crammed down the sides and back. You will end up spending ages furiously looking for where the remote has disappeared to, missing your favorite TV programs. Well now you can turn your phone into a remote for your TV and its much, much easier than it actually sounds. If you have a popular branded TV like a Samsung, LG, Panasonic or Sony then by downloading an app you can connect it up easily and start using it within minutes. If you really want to impress your friends then you can’t do much worse than controlling your household lighting from your cellphone. By using specially made light bulbs and an app on your phone you can control the time a light turns on and off, and set the brightness of the light. This is still quite new tech and the bulbs aren’t cheap with Philips bulbs costing you $200 for the starter kit of about 4 bulbs. There will be a time where your phone can control your car but for now you can control a smaller sized toy car from your phone. The idea is simple; your phone will use the GPS and maps tool to help plot a specific path for the car to navigate down. They will both work alongside each other in order to work. Ideal for the geeks out there! Have you ever been in a situation where you quickly need to measure something? Well a ruler app could be a friendly addition to your Smartphone as it recognizes your phone screen resolution and displays an accurate ruler measurement across the screen. Obviously the smaller the screen the less space you are going to have to measure with, but this little app can come in great for those times you need it. I wouldn’t recommend doing this at home! Our crazy web developer at SellCell has decided to test his Sony Xperia Z2 underwater by taking some photos. You can see how clear they have come out and luckily for him his phone is still working very well! Just because you’re visually impaired doesn’t mean that a Smartphone isn’t for you. With apps out there such as SayText and accessibility settings pre-built into most phones you can really tune up your phone to suit your visual requirements. The SayText app as an example will allow you to listen to text messages as well as scanning in documents. The tool will take a photo of something in front of you and then read the text, the OCR will then relay that text to you in an audio format, making this one of the most useful ways to use a phone. Aside from your phone becoming a TV remote and media controller you can also use your handy little gadget to control drones, such as the Parrot AR range. Now these little beauties won’t come cheap with some of them costing as much as $545. With your phone in hand you can send your drone high into the local sky and then relay the footage from your drone back to your phone. 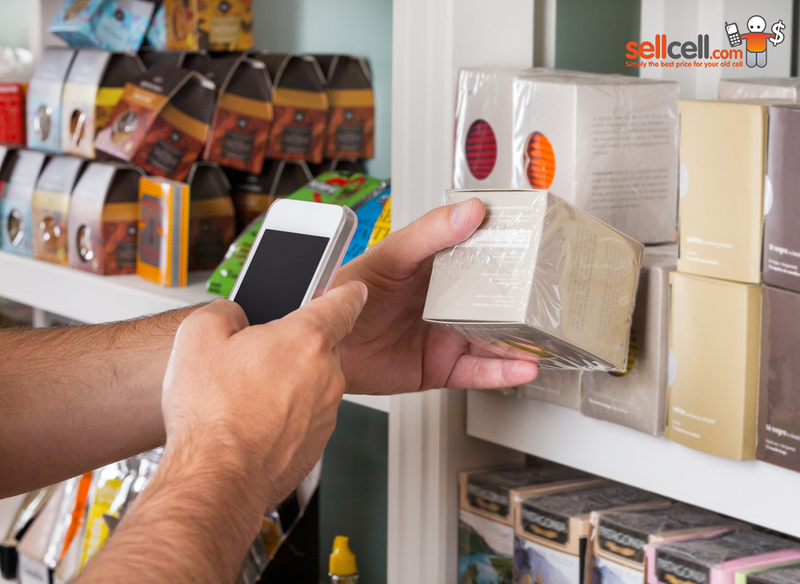 The barcode scanner works off your phones camera, and can help you scan in items that have a barcode attached to them. Why would I want to do this I hear you ask? Well my fellow readers by doing this you can find out where certain products are sold and at what price. You can end up saving yourself money and get your favorite items. Just hold the barcode scanner against a barcode and it will pick up the product and provide you with a link to start shopping. This useful tip can come in handy if your friend has no internet signal, because they can just jump onto your connection if you create a hotspot for them. Now, creating a hotspot doesn’t require any technical knowledge so don’t panic. All you need to do is turn it on, create a secure password and that’s it. Your friend can then search for your hotspot by simply connecting to new network, and then entering the password you set. This useful tool can also be beneficial if you have a tablet that only works on WiFi but you can’t access a connection. You can then simply share the 3G/4G connection from your phone to the tablet. Timelapse is one of those features that when it was first introduced people went crazy about it and started using it left, right and center. The timelaspe feature is damn cool and comes as a part of most cameras but also comes as a third party app for those cameras that don’t have the feature. It works by creating a set of images and then pieces it together like a fast moving video. The results can help speed up tedious processes, like taking apart and fixing a cell phone. The video you will see below is just one example of Timelapse in action, showing an iMend.com technician busy fitting a new screen. A process that would usually take more than 20 minutes condenses into a few minutes. One for the ladies out there, which turns your phone into a mini table or rest, is useful point #46 on our list. A colleague in the office uses her phone as a portable table whereby she paints her nails whilst resting her fingers on the back off the phone while it is balanced on her lap. It’s a crazy use of a cell phone but just another fascinating way that we can make use of our phones. I will make it clear, that I don’t do this! Snapchat has taken the world by storm and more and more people are using their cell phone to take photos and then share that photo with a friend. You can place captions on images but beware that a snapchat isn’t permanent and it will disappear after a certain amount of time! This has proven to be a fun app that friends can enjoy. Have you ever been sitting at work when a song comes on the radio that you think ‘wow’ who is this band? Well with an app such as Shazam you can hold your phone up against the radio and it will then identify the song for you providing information on the artist and song title. Brilliant! Facebook, Twitter, Google+ and Tumblr are just some of the main Social Media platforms out there and because they are becoming bigger and bigger it makes sense to download the necessary tools to monitor your social channels. Whether it’s personal or business use you can share, or talk to other like-minded users about products, services and whatever takes your fancy. This is useful tip for 2015. If you have got this far, then well done! Our last item to look at is Google Now which is a funky creation that provides you with the information you need at just the right time. You don’t need to ask for the information as it’s already there for you in bite-sized cards that you can keep or swipe away. Whether its baseball fixtures, delivery expectations from Amazon, or how long your commute from work is going to take, Google Now has it all.